Apple iPhone serves as a perfect tool for taking photos and recording videos. And all photos taken with an iPhone are stored in the Photos app. In reality, the Photos app has been part of Apple’s mobile operating system since day one, and it gets new upgrades every year. In iOS 10, the Photos app received a huge improvement, featuring a simple and intuitive user interface. However, there are times when the Photos app becomes a cause of annoyance as it fails to work. Indeed, a lot of iPhone owners have reported that the Photos app freezes up every time they attempt to launch it. They claim that there may be a bug that prevents the app from working properly. If you are one of those who have been affected by the issue, then we are here to help. In this article, we are going to show you how to fix the Photos app not working on your iPhone or iPad. Before we proceed, we recommend you have a modern version of iOS on your device. In reality, Apple releases new iOS updates on a regular basis, so make sure you keep your device up-to-date. The first solution is to quit the app and re-launch it. In reality, quitting apps may help fix some problems like app crashes or frozen apps. In this case, it may do the trick. However, the method used to quit an app on an iPhone X or newer is slightly different from past iPhone models. 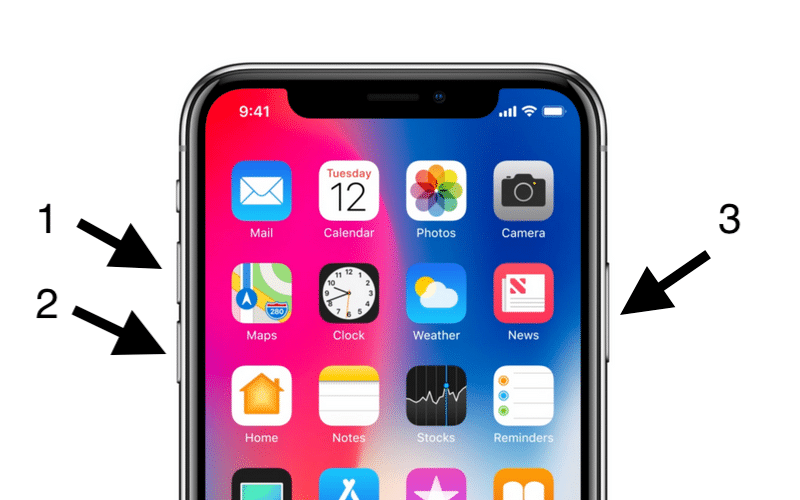 All you need to do now is to swipe up from the bottom of the screen to access the App Switcher, then just simply swipe up on the Photos window to close it. Once you are done, re-launch the app to see if the problem is fixed. If the problem still persists, then reboot your iPhone. To do this, press the Volume Up button and release that button. After that, press the Volume Down button and release it. Now, press and hold down the Power button and keep it pressed until you see the Apple logo. If the Photos app still fails to work on your iPhone, then there is a good chance that you are running low on iPhone’s storage. 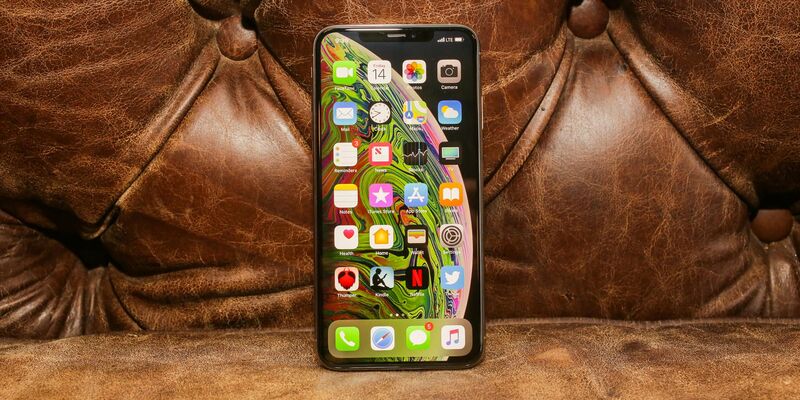 Luckily, Apple iOS allows you to check how much storage space you have got left as well as helps you find out which apps are eating up the most space on your device. To do this, open the Settings app from your home screen, then select General and hit Storage. Once you are in, you should see how much space you now have at the top. Besides, you can enable Offload Unused Apps option to free up some space. At the bottom, you should see a list of apps that are taking up your storage. From here, delete an app that you rarely use to save some space. Keep in mind that you can always re-download an app that has been removed from your home screen. To do this, head over to the App Store, find the app, and then hit the Install button to download it again. If you now have iOS 12.1.3 software update installed on your device, then we recommend you go back to a more stable version. In reality, iOS 12.1.3 is still in beta stages, meaning that it may include bugs and errors. Indeed, you can downgrade to iOS 12.1.2 to see if the problem is fixed. Before proceeding, make sure you back up your iPhone in case something goes wrong during the process. If the problem is still present, then the next solution is to perform a factory reset. In reality, a factory reset helps fix issues with your iPhone if it is crashing or freezing. Keep in mind that doing so will erase your device completely, so make sure you now have a recent backup of your iPhone in case something goes wrong. 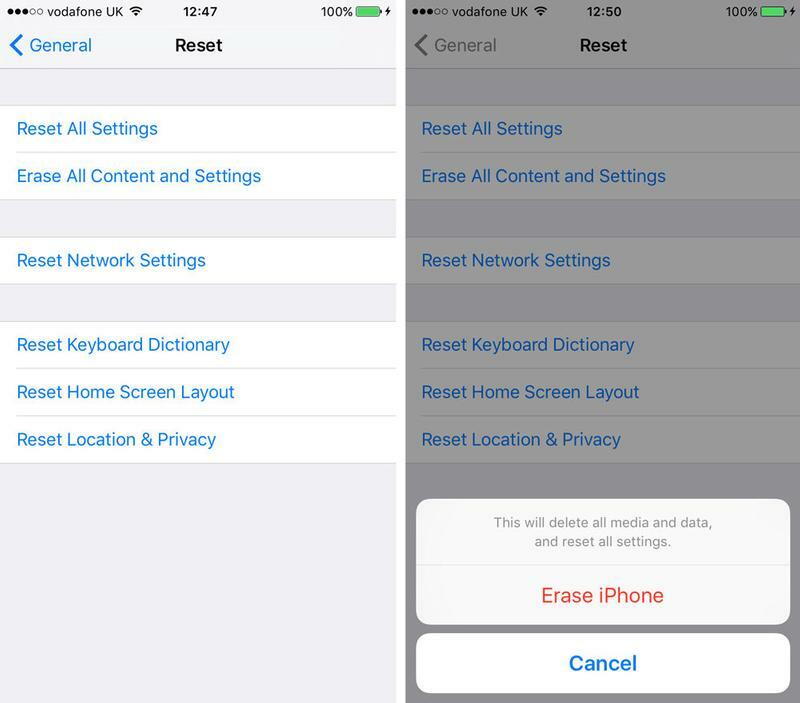 To factory reset an iPhone, open the Settings from your home screen, then select General and hit Reset. Now just simply hit Erase All Content and Settings. You will be asked to enter the passcode to confirm your action. Once you are done, you now can set up your iPhone as new or restore it from a recent backup. If none of the above solutions works for you, then make sure you bring your iPhone to a local Apple store or get support online. If you have got any issues during the process, then make sure you share with us in the comments below.